PR teams and reporters need each other, but up until now it’s been far from a perfect relationship. PR teams send out countless emails every day to only get a few ‘hits,’ and on the other side of the table, reporters receive an endless flow of PR emails while only a few will match their interests and needs. The system is impersonal and inefficient. Hannah Oiknine knew there had to be a better way, so she and her sister, Sarah, created Babbler, the first social media site for media relations. 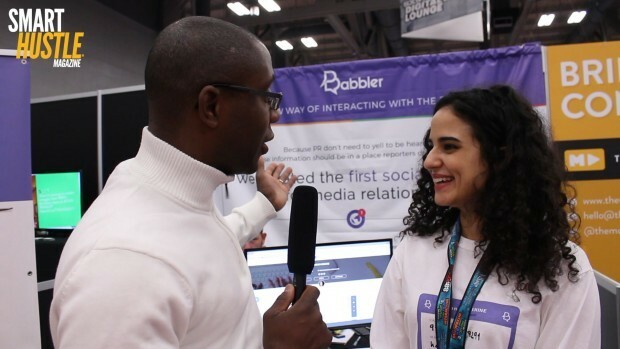 I learned about Babbler during my trip to SXSW. I took a few minutes to speak with Hannah because I knew this product would be of interest to small business owners. Every business relies on media attention to generate buzz, but many are not sure how to get this attention. Some have a PR team or individual, some hire a PR company, and some try to do it themselves. No matter how you handle PR, I know you could benefit from more media attention, and Babbler looks to be a better way to get it. Babbler works like a social media site, only it is specifically for media relations. You can sign up as PR or as a reporter (which includes bloggers and any other content creators who are interested in news that they can write about). The system allows PR pros to post their stories, and then reporters can find the specific stories they are interested in writing about. The platform includes several features common to social media sites, including push notifications, inbox messaging, and the ability to interact and comment. PR teams typically send emailed press releases to their contacts – stories about products, services, company news, events and more. Ideally, contacts will pick up on the story and publish it – either by writing a news article, blog post or by some other form of media. This generates publicity and buzz for the company in question. However, very few of these emails are opened and even fewer make it into the media. Easily share their press releases and documents with the media. Tag their content so it can be found through search by reporters wanting to write on that topic. Get real-time notification when someone interacts with their posts. Invite reporters to become followers and create “circles” of followers so they can send customized pitches. Collaborate with other members of the PR team on tasks. Get analytics about how the PR strategy is going. #Bizowners, check out how @Babbler_rp can help your #biz #PR. Reporters’ inboxes are always filled with PR pitches, many of which aren’t even relevant to them. With little personal connection and repeated emails, they constantly feel spammed while they are trying to do their job. Easily search and find stories that are relevant. Choose to interact only with the most compatible content and connections. Quickly get everything they need to write their story. Post the articles they write and display them as a portfolio of their work. The biggest benefit of Babbler, from both a PR and reporter standpoint, is that it allows for the sharing and finding of targeted content. Reporters get ideas to write great stories and businesses get the publicity they are looking for. Small business PR is not easy, but Babbler may be a tool that will simplify your efforts. Make sure to watch the video in full – at the end, Hannah shares a special PR tip that will help small business owners make better pitches.